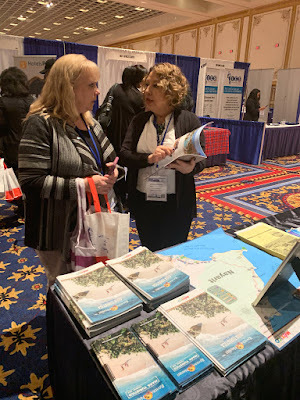 There were also more than 300 travel domestic and foreign travel providers in attendance offering services, resources, products, and destinations. 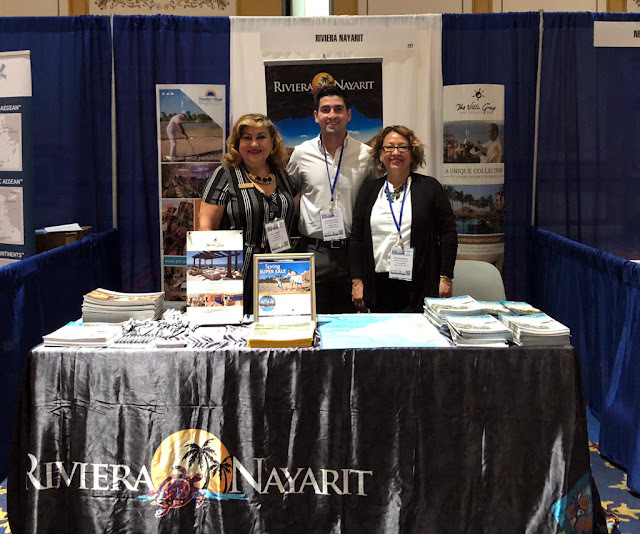 The Riviera Nayarit took the opportunity to offer a seminar and trade show along with Puerto Vallarta for Las Vegas area travel agents, updating a group of 24. Also present were the Paradise Village, Villa del Palmar Flamingos & Villa La Estancia y Hoteles Decameron. 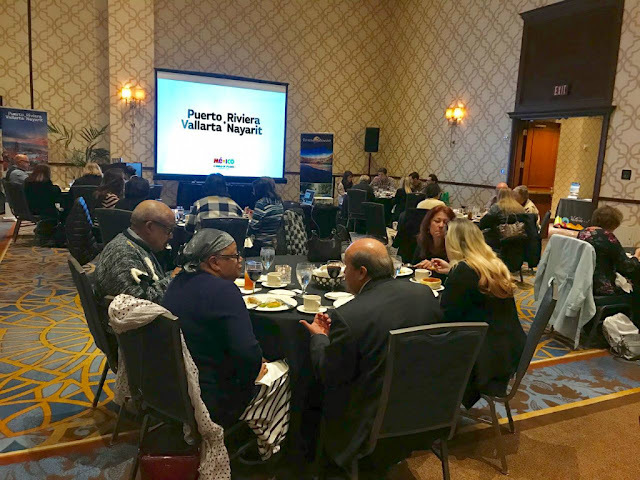 The agents were extremely interested in the destination and shared very positive comments; many had already experienced the attractions offered by Mexico’s Pacific Treasure and are a part of the destination’s repeat tourism. “We conduct these activities to maintain a presence in important events and keep the Riviera Nayarit’s attractions, tourism offer, and quality of service top of mind, as well as our constantly updated tourism infrastructure. This helps to position the area as a favorite within the Mexican Pacific,” said Marc Murphy, managing director of the Riviera Nayarit Convention and Visitors Bureau (CVB) and the Bahía de Banderas Hotel and Motel Association (AHMBB). This summer Sun Country Airlines begins direct flights from Las Vegas and Henderson, Nevada, to the Puerto Vallarta-Riviera Nayarit region; there will be two frequencies per week on Mondays and Fridays from June 7, 2019 through August 19, 2019. 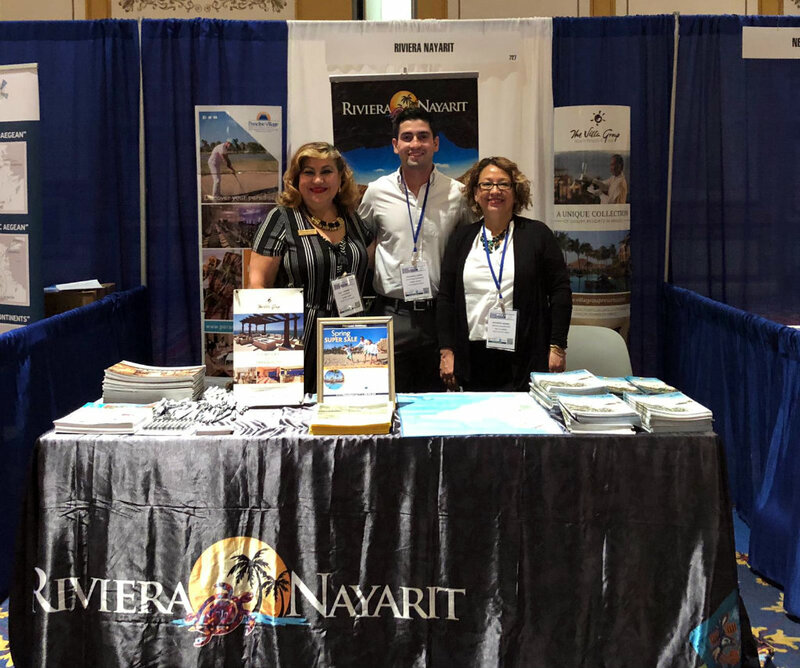 The Riviera Nayarit Convention and Visitors Bureau (CVB) and the Bahía de Banderas Hotel and Motel Association (AHMBB) reaffirm their commitment to the strategic promotion of the destination, pursuing opportunities and consolidating new markets to increase the number of incoming tourists with the support of the Government of the State of Nayarit via the Tourism Promotion Trust (Fiprotur).